Room 8 - Growing Great Learners! : Room 21 goes to Motat. Room 21 goes to Motat. On Friday the 13th of March we went to Motat to look at how technology has changed over the years. Here is a photo collage of our trip. It was so much fun and we learnt a lot too! 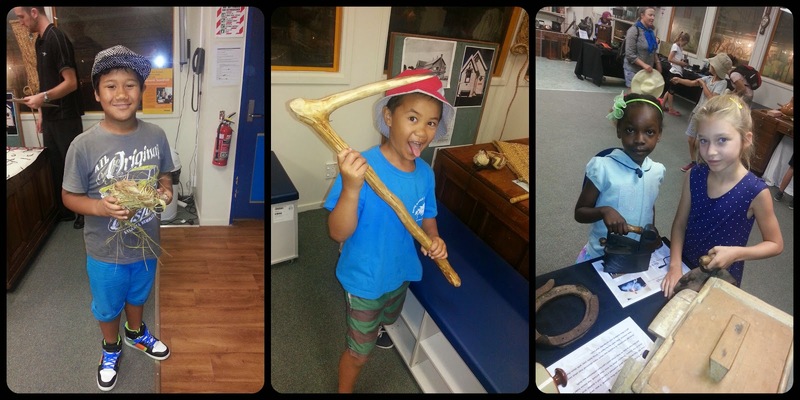 Here is Atapana and Anthony holding some traditional Maori tools. 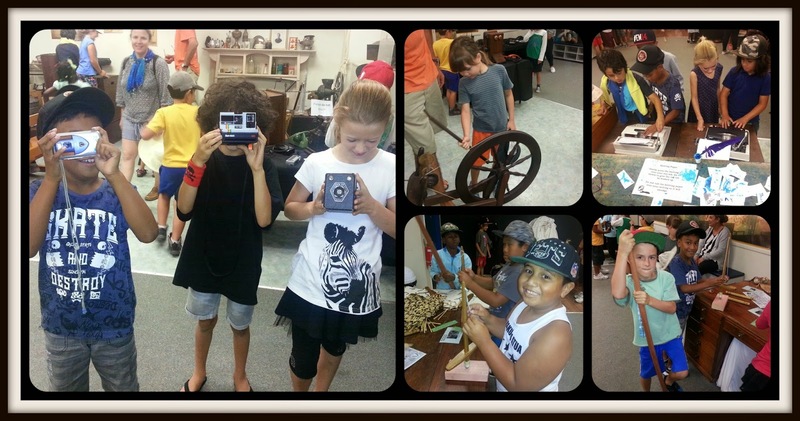 Alla and Tygan are looking at Victorian tools. Just imagine having to iron with that today! Aisea, Joseph and Saskia are standing in a timeline showing how cameras have changed since the 1930's. Saskia is holding an old box camera and Aisea a digital one.